!!! INCLUDES 7,000$ IN UPGRADES FOR ALMOST FREE !!! 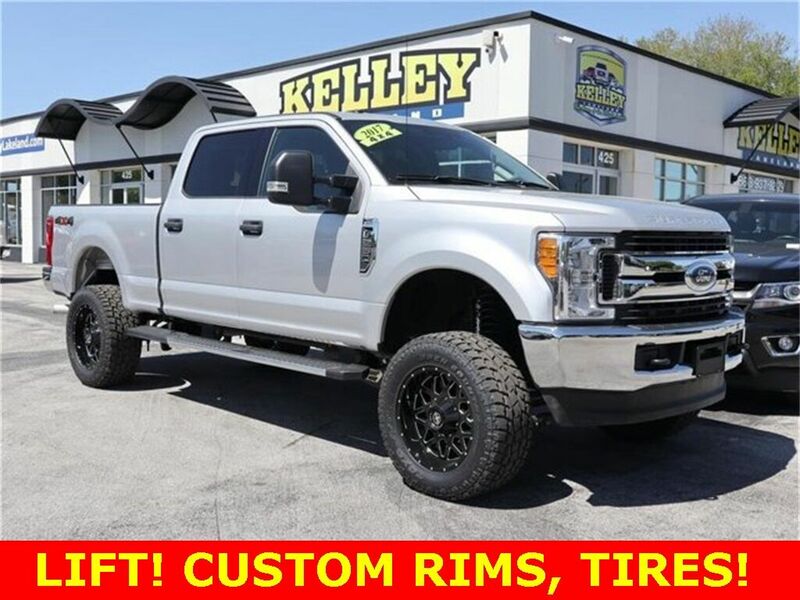 This Kelley's Custom package includes a 6'' Pro Comp lift kit, 20x10 XF Off Road wheels wrapped in 315/60/20 Toyo Open Country A/T tires. This 2017 Ford F250 XLT Super Duty has 4WD, 6.2L V8 gas engine, 6 speed Automatic transmission and grey cloth seats. This XLT also features ABS, traction control, key-less entry, low tire pressure warning, power mirrors, steps, tow package, drop in bed liner, alloy wheels, Bluetooth, touch screen radio with back up camera. According to the Carfax, this Ford F-250 has a clean title.